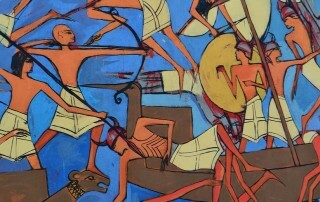 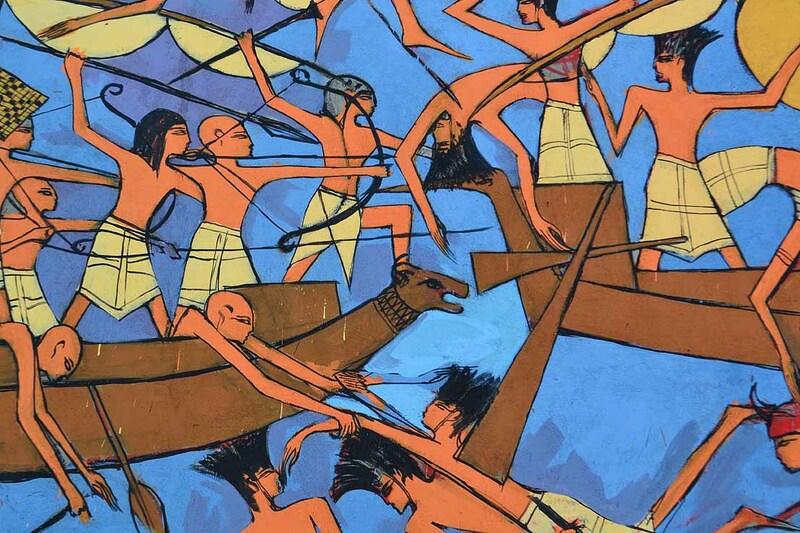 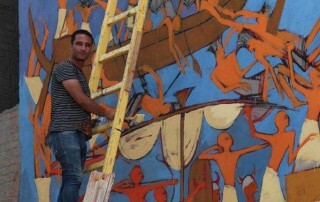 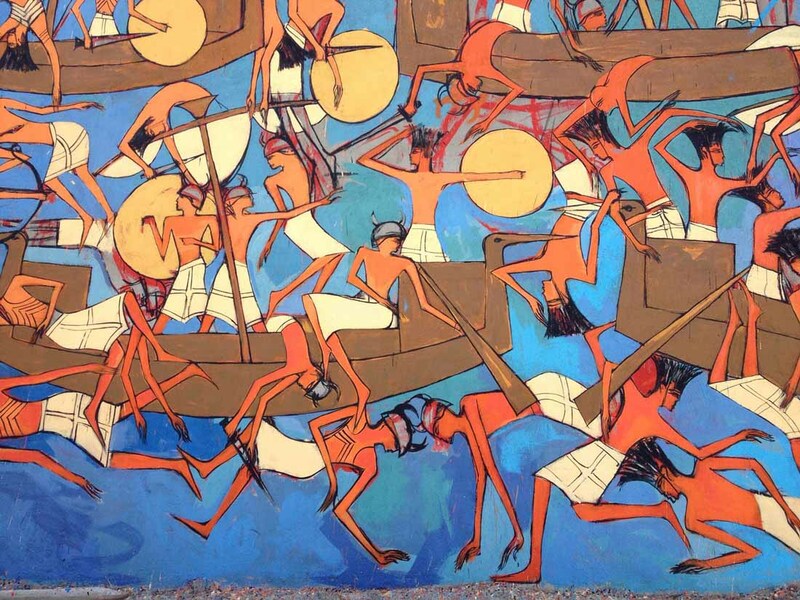 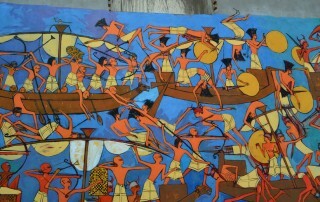 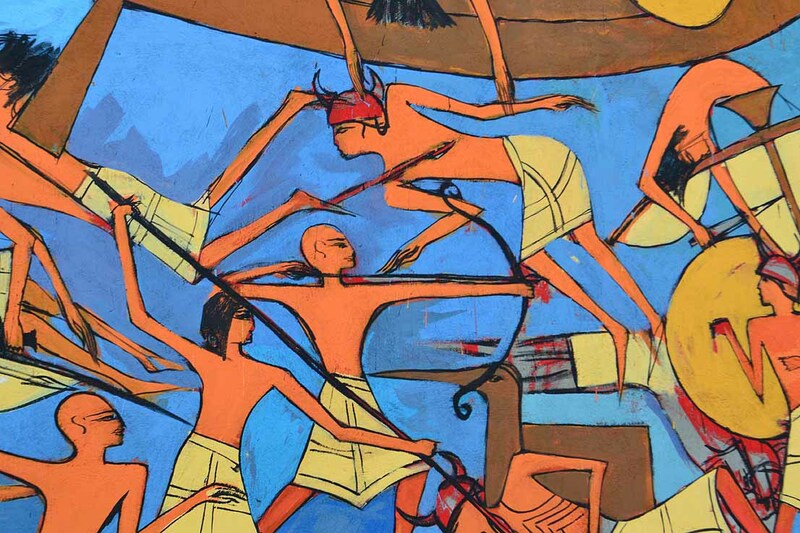 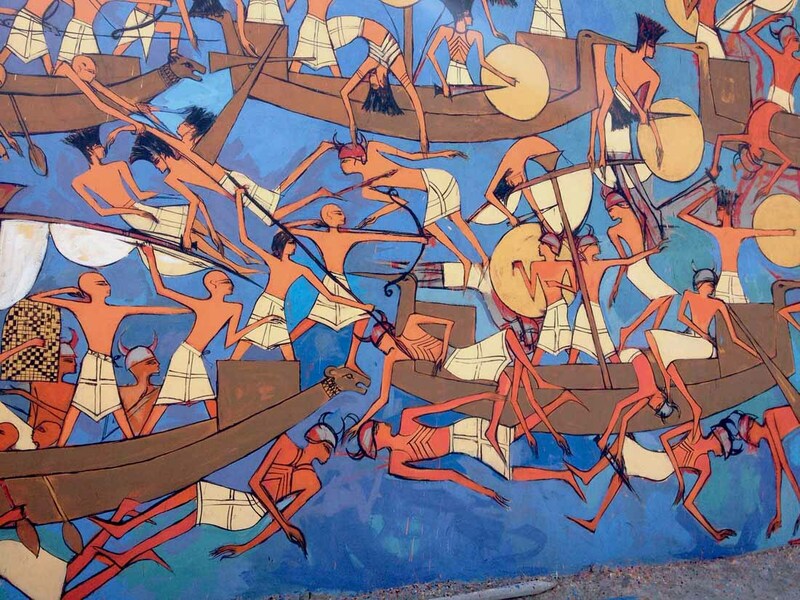 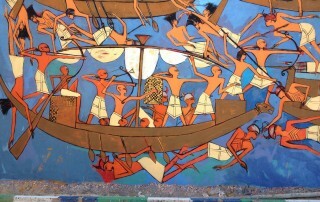 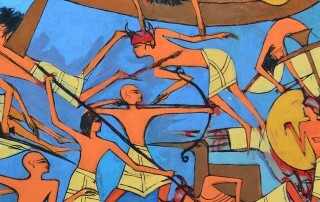 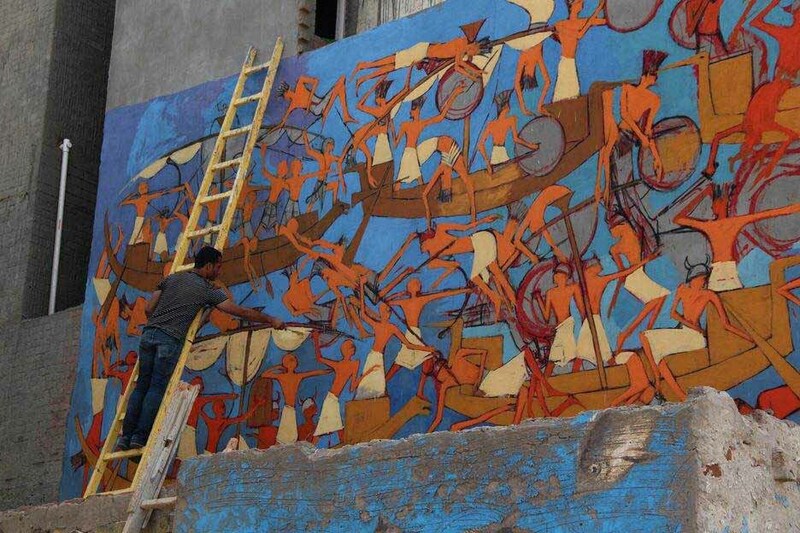 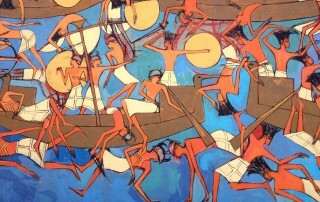 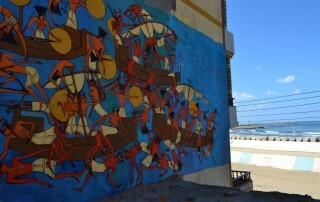 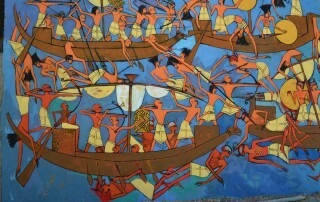 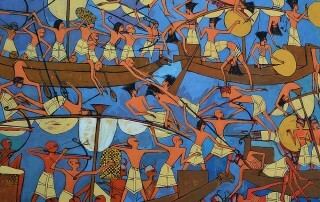 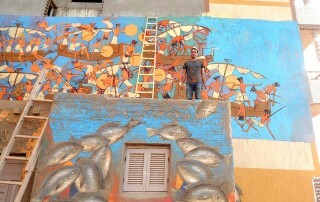 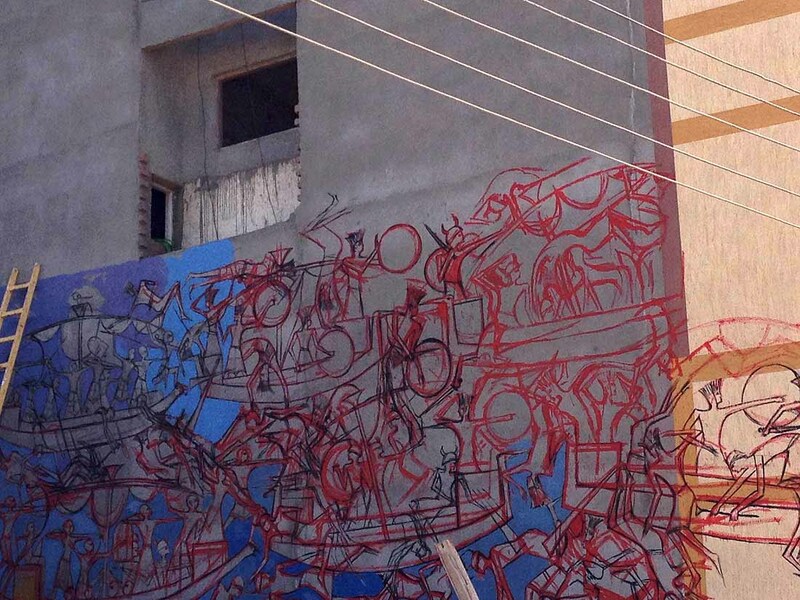 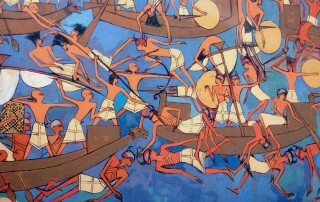 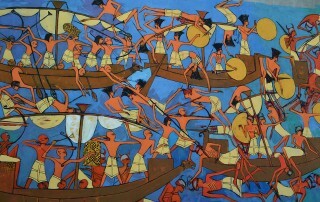 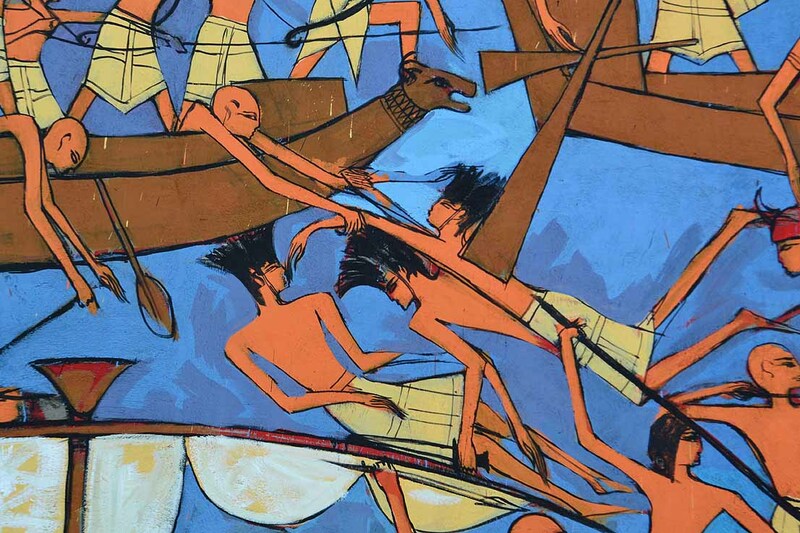 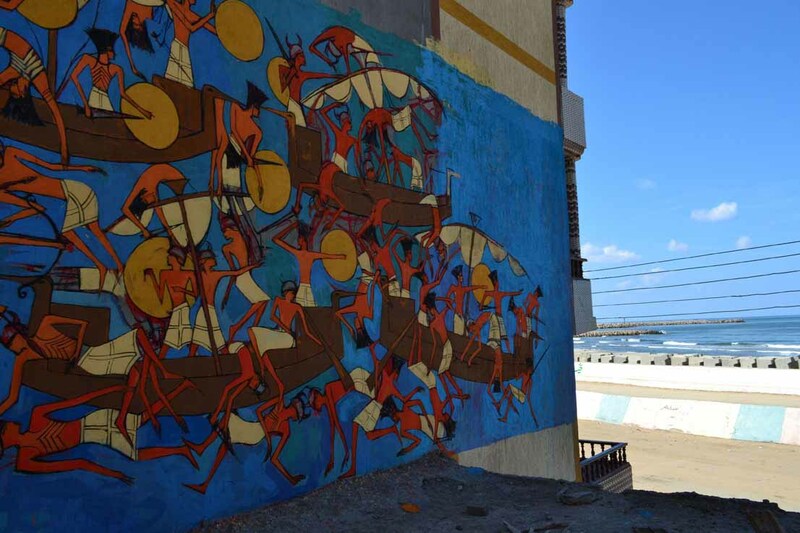 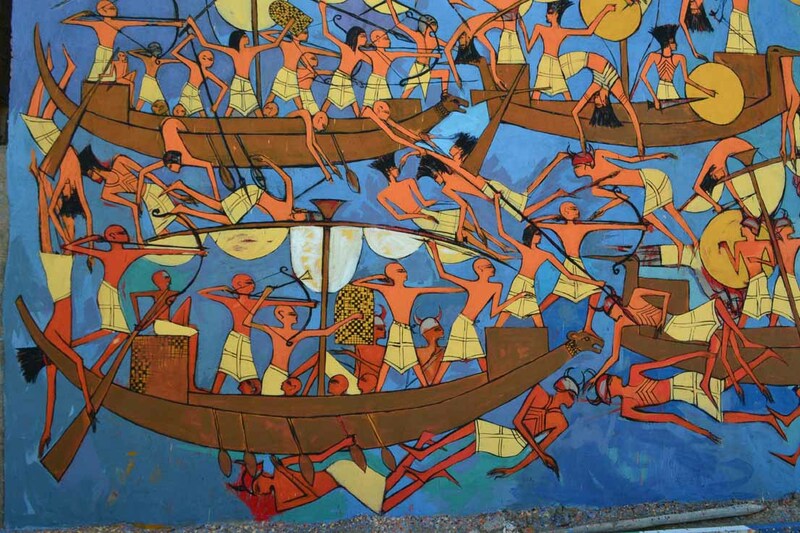 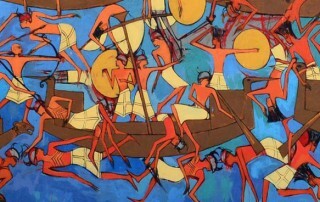 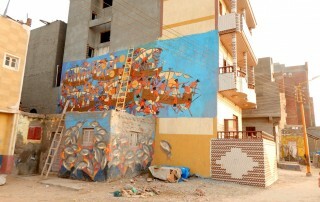 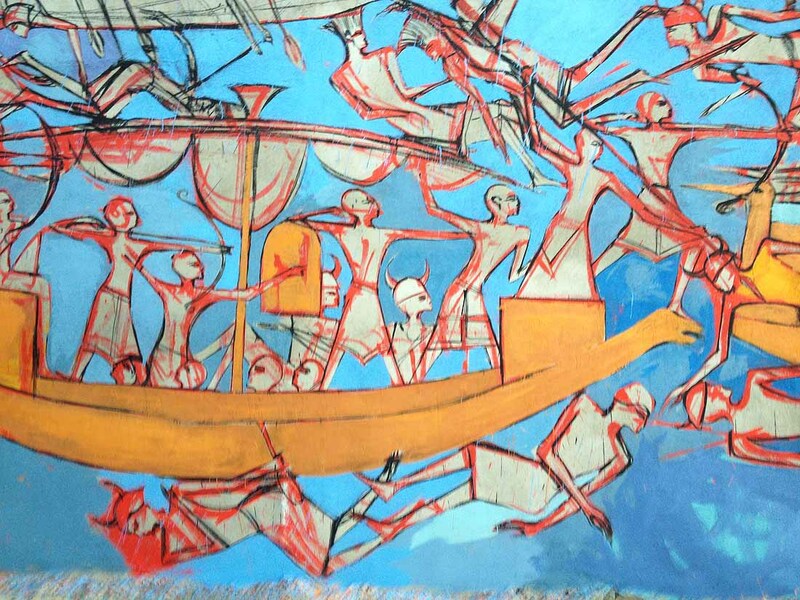 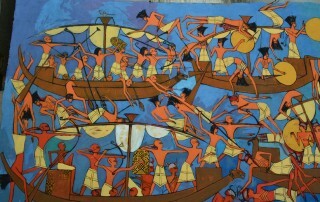 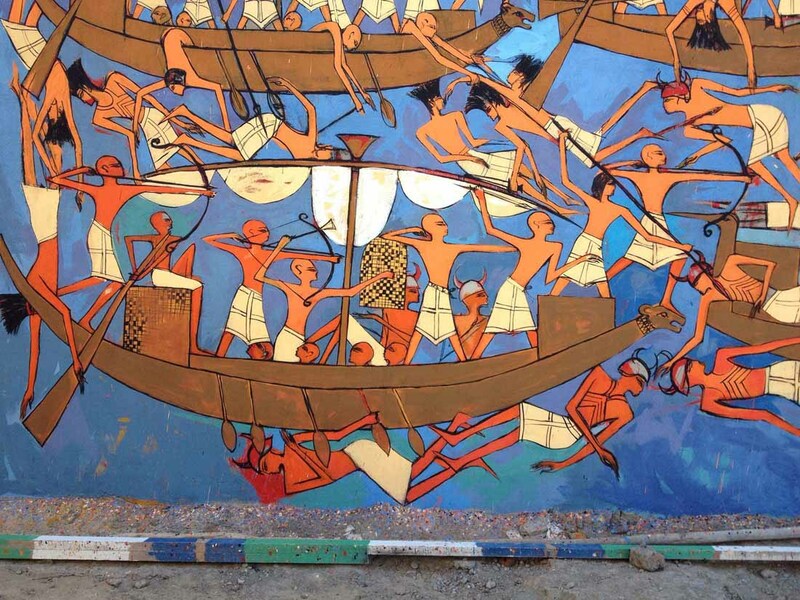 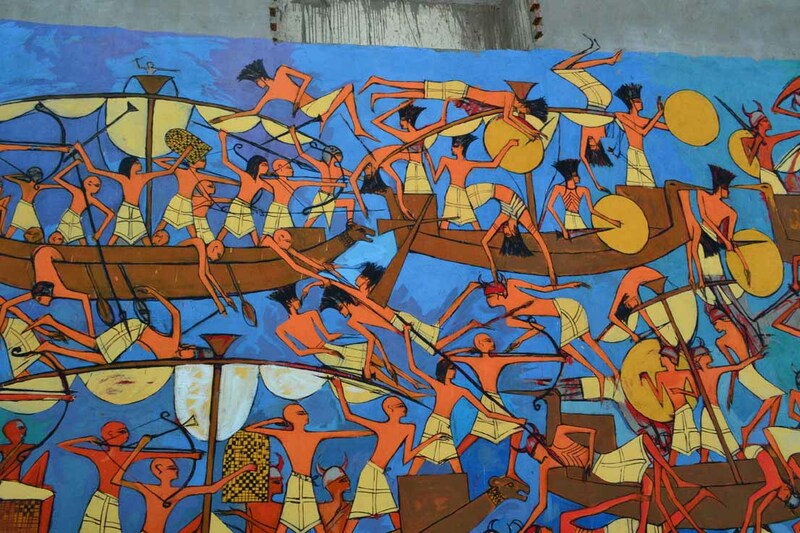 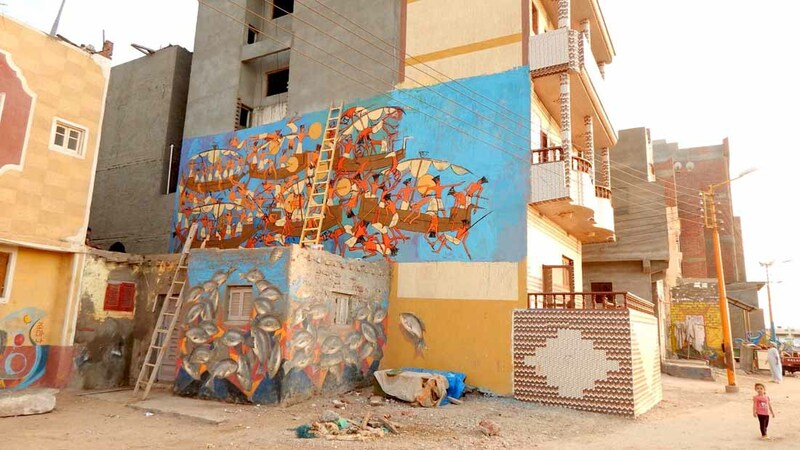 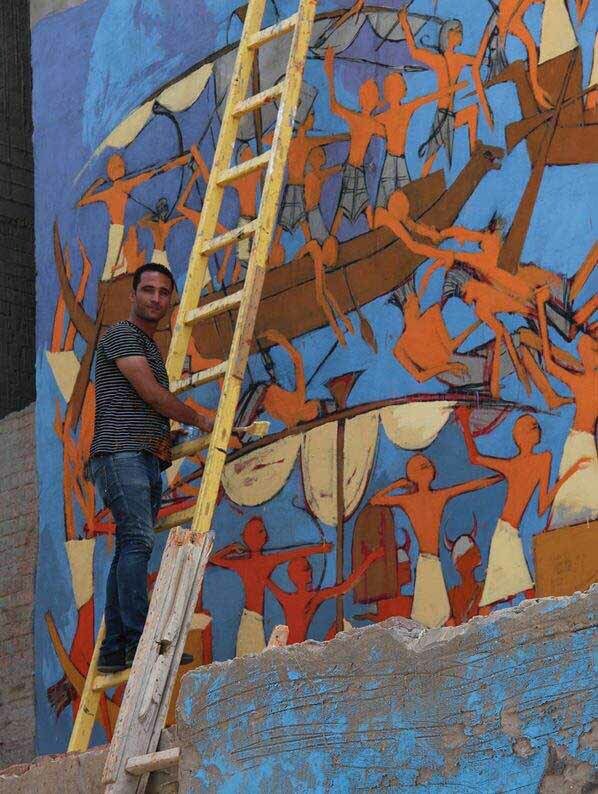 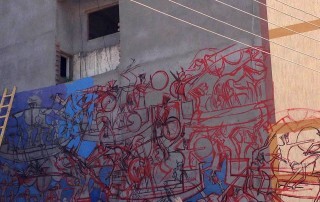 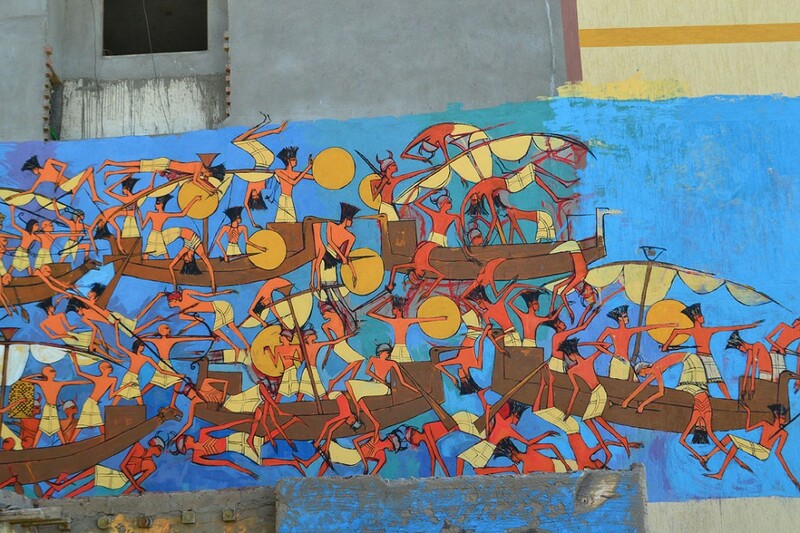 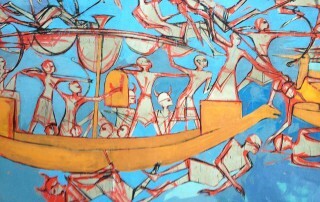 The 2nd Burullus Symposium for murals and a special feature of traditional Pharoanic boats painted by featured artists. 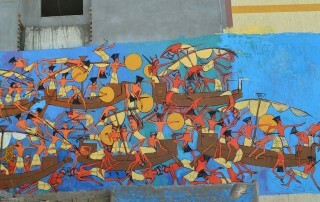 This is inspired by the relief mural on Habu temple of King Ramses III. 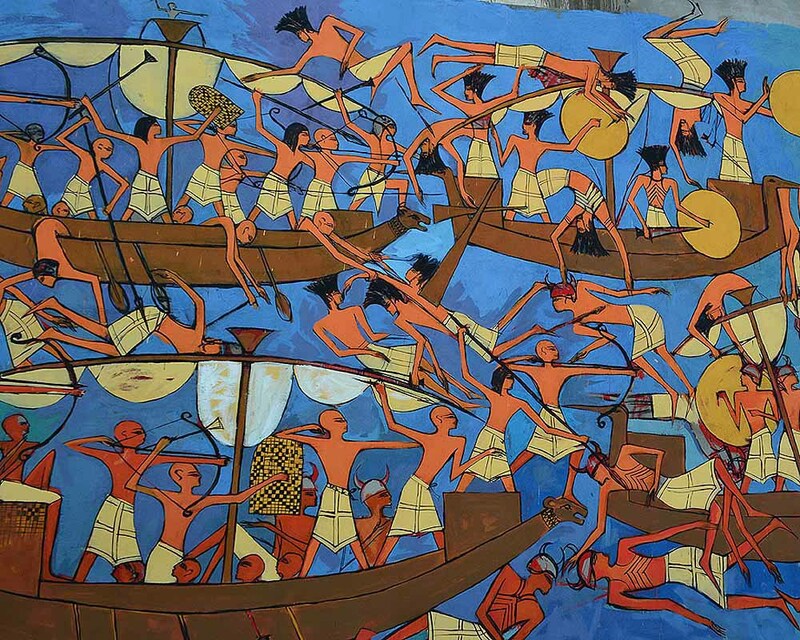 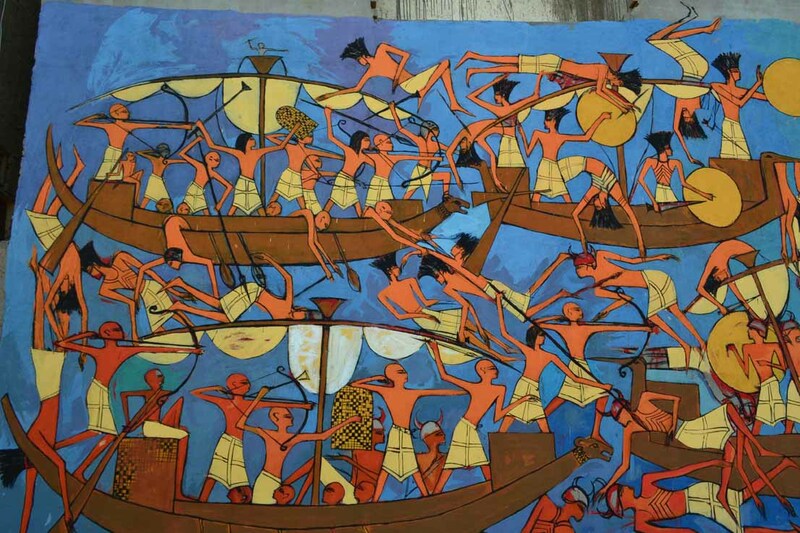 The Sea Peoples are a purported seafaring confederation that attacked ancient Egypt and other regions of the East Mediterranean prior to and during the collapse of the Late Bronze Age (1200–900 BC). 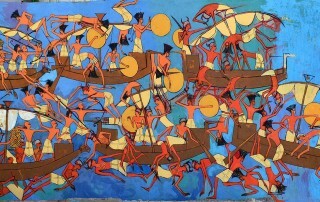 Since the nineteenth century, this has been one of the most famous chapters of Egyptian history, given its connection with the work of Orientalist Wilhelm Max Müller. 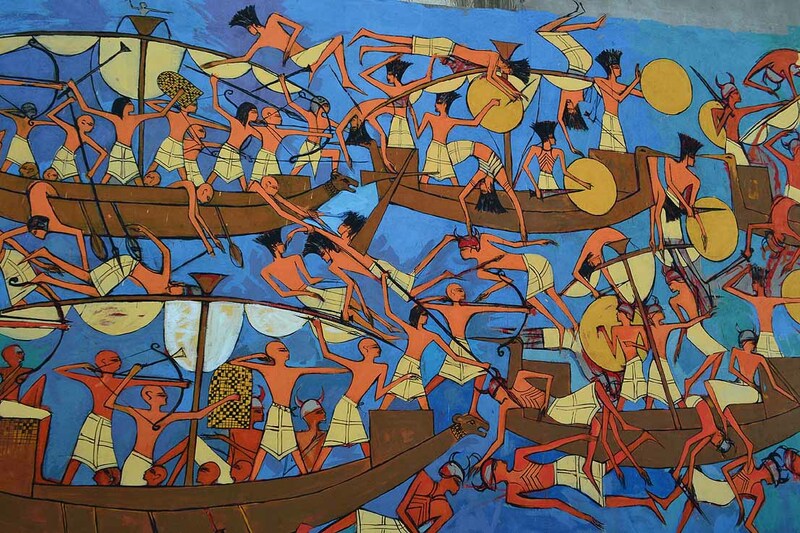 Their origins uncertain, the various Sea Peoples have been proposed to have originated from places that include western Asia Minor, the Aegean, the Mediterranean islands and Southern Europe.